Last week the National Endowment for the Humanities (NEH) announced the Georgia Historical Society (GHS) as the recipient of a $500,000 federal challenge grant to go toward its Next Century Initiative Capital Campaign. 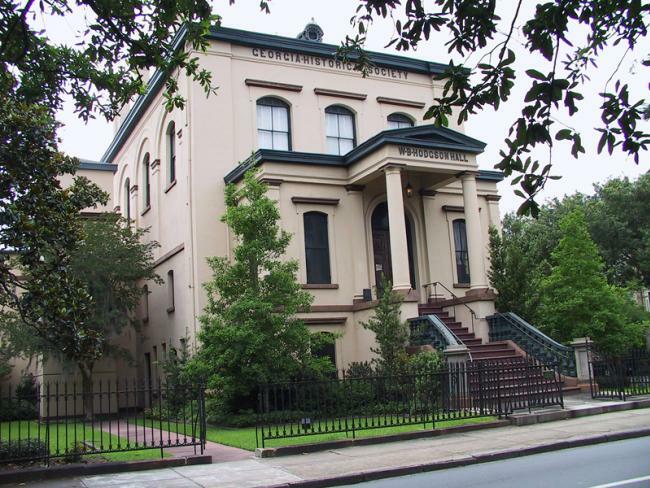 The campaign, launched in 2015, seeks to renovate and expand the GHS Research Center to protect its archival and library collections, which are housed in one of the oldest purpose-built libraries in the U.S. The Historical Society becomes the first Georgia institution to receive such a grant from the NEH, which comes via its new Infrastructure and Capacity-Building Challenge Grant program. The program is a hallmark of the NEH, which has been one of the largest funders of humanities programs in the country since its founding in 1965. The challenge grant is named such due to the implied ‘challenge,’ in this case a requirement that GHS matches the $500k at a rate of 3:1 non-federal to federal dollars. It will fold into the ongoing Next Century Initiative Research Center Renovation Campaign, launched in 2015, which is looking to raise $3.5 million total.